Sorry, this Voucher has already been used. Please contact support@iteachu.com. Sorry, this Voucher has already been used. Please contact mobile-learning@unimelb.edu.au. These questions help us to provide you with more personalised support and ensure that if we need to contact you, we do so at an appropriate hour. 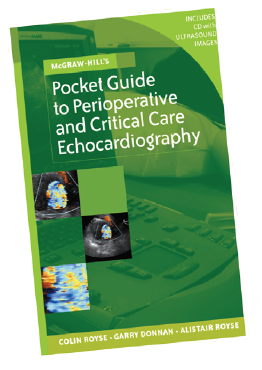 This is a handy pocket-sized book that simplifies the subject of echocardiography, including transoesophageal echocardiography (TOE / TEE), transthoracic and surface ultrasound applications, as well as focusing on explaining the basic and essential information needed for its use by surgeons and anaesthetists in surgery. Receipt will be cc'd to this address when sent to student's email address.